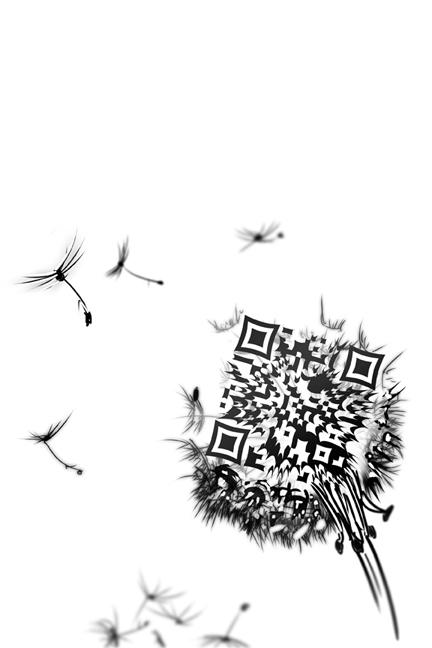 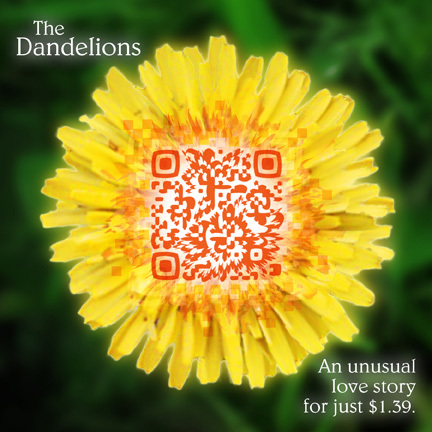 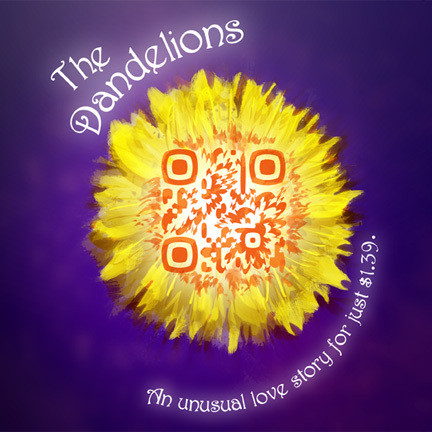 This QR code was designed to promote the release of the book, “Dandelions” by Jeremiah Telzrow from publisher Spirehouse Books. 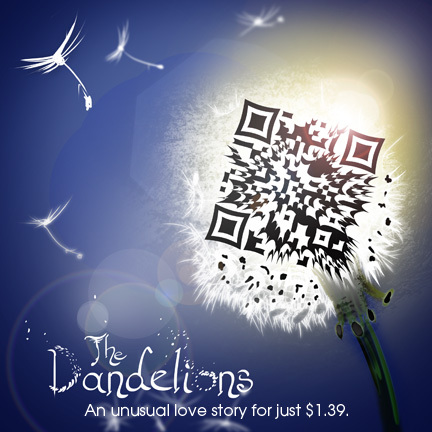 In the poster below, each of the smaller QR codes drifting off contain different taglines from the book. 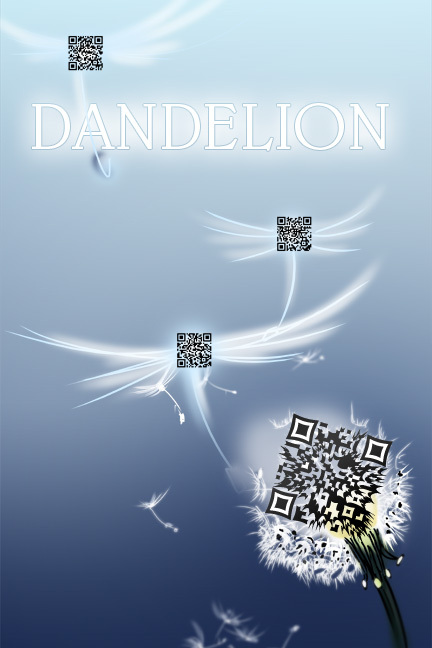 Also below are several different concepts pieces for supporting point of sale material.